No matter what brand of dash camera you choose, each has their own problems. We have compiled a list of the most common issues and solutions for cameras we have reviewed. Some of these solutions may require you to change your firmware or disassemble the camera. Updating the firmware may cause your camera to stop working if done incorrectly and you may lose the warranty. Disassembling the camera will almost always void the warranty but you may have no choice as return shipping (especially China for cheap products) may cost too much money. Reason: Plastic lens base and housing have expanded in the heat. Solution: There is no known and working solution for this problem. This might be a permanent problem so if the camera is still under warranty, you should contact the seller regarding a refund or replacement. Reason:MicroSD card fills up rather than overwriting the oldest file. Solution: Check if loop recording is enabled. If it is enabled try setting up a different loop time. If that doesn’t work there may be an issue with your SD card. Use another card you know that works. If you need a replacement see our SD card guide. Reason: Possibly a firmware bug. Solution: There is no known solution to this problem. Trying different firmware might help. Reason: Lens need adjustment, wrong exposure values. Solution: Adjust the camera so that you have about 1/3 sky and 2/3 land on the screen, even if it means that you have the car hood in view. Set the EV (exposure value) to +2/3 or if video seems too washed out, try +1/3. Reason: The firmware may cause the year to change to 2014 while keeping the month and day the same. Solution: Flash a different firmware or don’t use the GPS module. Reason: Manufacturing error where the speaker was glued to the MicroSD card slot. Solution: Warning! This solution will void the warranty of camera! Return to manufacturer/retailer if possible. The manufacturer has corrected the problem and no longer glues the speaker to the MicroSD slot. The only fix for those who have this problem is to forcefully remove the SD card or remove the glue by disassembling the camera which voids the warranty. Reason: Temperature is too low for camera to start and operate normally. In cold weather conditions (under -10C) camera does not start. Solution: Camera will warm up and start. Operating temperature is from -10C to 60C. Reason: You might have a faulty SD card or your SD card is not completely deleting video files. Solution:When deleting video files from the SD card in a computer, make sure you delete the files from the trash as well (while the SD is still in the computer). If you still have this problem, try using different SD card that works. Reason: You are possibly using incorrect GPS or you have a firmware issue. Solution: Buy the right GPS. If you use the right GPS and still have this problem, it can be solved by installing new firmware. Reason: There can be a few reasons why you are experiencing random loop times. 1)You might have a defective unit. 2) You may be using a faulty SD card. 3) Motion detection doesn’t work correctly. 4) Your G-sensor is too sensitive. Solution: To find out if it is a card issue , try to reformat the SD card you use or try a different SD card. If that fails, try turning off the G-sensor and motion detection. If nothing still, you may have a defective unit. Contact your manufacturer or retailer for warranty support. 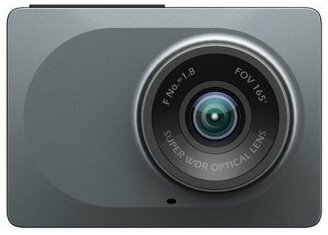 There are many variants to A118C cameras made by other manufacturers. As we cannot cover every camera please talk to your retailer or if there is a website check that for the firmware files. Reason: Users have complained of a random color problem for the rear camera. There is no specific reason or explanation for why this happens, but usually it occurs when camera is operating in high temperatures. Solution: There is no known working solution to solve this problem. Reason: Poorly adjusted white balance. Solution: This problem may be corrected with a firmware update. Reason: Some owners have complained of interferes with Digital Audio Broadcasting radio. The cable connecting the front and rear cameras might be positioned or installed poorly. Solution: Repositioning the cable has helped reduce the problem. Some owners have added a ferrite core to reduce the problem. Reason: You might be using a faulty SD card or your SD card not fully compatible with Blackvue cameras. Solution: Try to format your SD card first. If that fails use a different SD card. 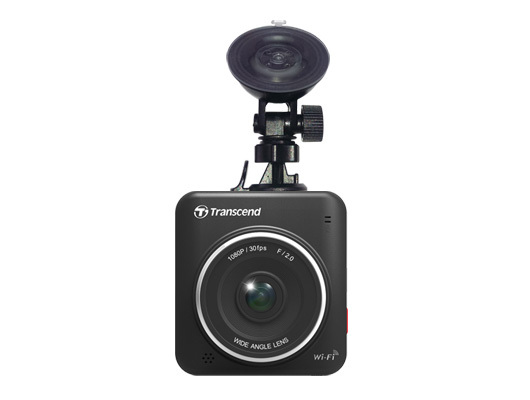 Transcend High Endurance SD card also has great track record of performance and reliability in Blackvue cameras. You can also purchase the Blackvue branded micro-SD cards which are guaranteed to work but can be expensive. Reason: Smart network features on Android will change WiFi networks if it doesn’t detect an internet connection. Solution: Check advanced WiFi settings on your phone and disable networking swtiching. Reason: Your SD card has failed and can no longer record videos. Solution: Try using a different SD card you know that works (not Sandisk Ultra cards). 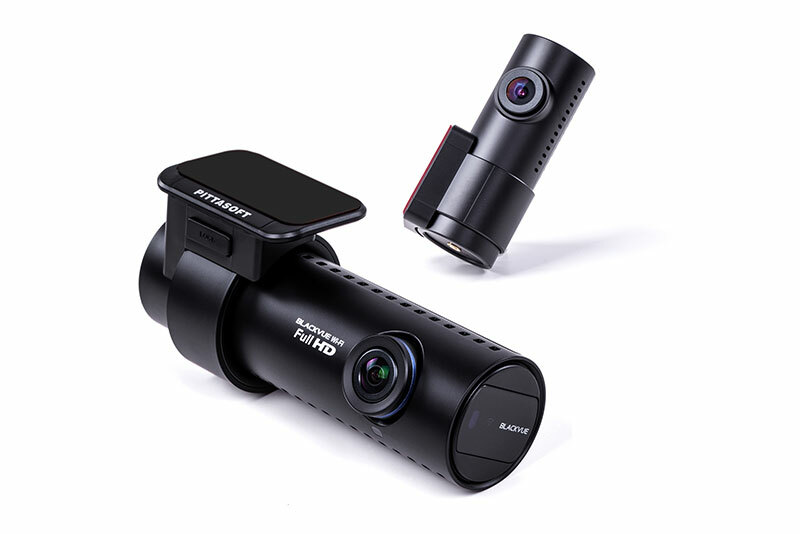 See our guide for more info on great dash cam cards. Reason: You might have a faulty camera or a firmware issue. Solution: Try installing V1.011 (legacy firmware) firmware and check if it fixes the problem. If not, you might have a faulty unit and we suggest you contact the manufacturer/retailer for warranty support. Reason: The time and date is updated via GPS. You are not getting a good signal through the windshield or you may have wrong time zone settings. Solution: Make sure you set the right time zone for your camera. Move the camera to different position where it can receive a GPS signal. Reason: You may have a faulty power cable or there may be damage to the rear cable. Check if the central pin is damaged or the barrel prongs are bent inwards. Solution: If there’s a physical problem you may be able to fix it with a small needle or tweezers. If not, you’ll have to buy a new cable. Reason: You might be using a faulty power cable or there is a internal fault in the camera. Solution: Try a different power cable and check it’s seated correctly and there is power going to the 12V socket. if that fails you may have a problem with your camera. Not Hearing a Notification When The Camera Shuts Down. Date and Time Reset. Solution: The coin battery inside the camera will need replacing. This requires you to open the camera and we suggest you contact your retailer or Blackvue for a solution even if the camera is out of warranty. Reason: You are hitting the mute switch by accident. Solution: Voice activation can be switched on or off by swiping your finger across the left hand face of the unit. You may need to keep your hands further from the device. Reason: Faulty SD card, formatting issue, or a wrong file format. Solution:In most cases it means there is a SD card issue. Try using a different SD card, or format your existing card to FAT32. Reason: There might be a conflict between 60p refresh rate and streetlights. Solution: This resolution may not be the best choice for night driving/recording. Use a different resolution and frame rate instead. Reason: You have installed the wrong firmware for your device. Solution: Install the original US/English firmware. Reason: Your camera’s battery might be dead or your SD card is faulty. Solution: Try using a different, known good SD card with the Yi dash cam. If the issue remains you have a dead battery. You will need to contact the manufacturer/retailer for a warranty. Reason: Dash camera is out of focus or your SD card doesn’t have enough write speed. Solution: Try cleaning the windshield and camera lens and adjust the position of dashcam. Adjust the lens. Reason: Bad or faulty memory card. Solution: You need to try a different, known good SD card. Make sure you are using a name-brand memory card such as Transcend High Endurance 32GB. Reason: It’s possible you have a bad charger or a faulty battery. Solution: Try using a different charger. If that doesn’t work it is likely a battery issue. You will need to contact your manufacturer/retailer for a warranty exchange. Reason: Operation system does not support the resolution of the video file. Solution: Try a different player. Try downloading an older version of the software. Reason: Bad update.Faulty camera, problems with firmware. Camera might be overheating. Solution: Do a reset by pressing the reset button (using a pin in the reset hole). If that doesn’t work, update the firmware. If it’s Chinese version, flash it with Chinese firmware. Update firmware by instructions here:Dash Cam Talk Forums. Reason: You are using wrong or an unsupported SD card. Solution: Try using a different SD card. Preferably a name brand like Transcend High Endurance SD card. Reason: The camera has run out of power in its capacitors. Unlike other cameras, the DP200 does not have a small coin battery to maintain the time/date/settings and uses only the energy in the capacitors. After a few days this runs out and everything resets. Solution: Use the camera more frequently. Reason: It is a rare problem and there is no known explanation. Solution: There is no solution. You can manually press the ON button to turn on the camera if this happens to you. Solution: Update your firmware to the latest version. Reason: This could be related to battery. You also may have a faulty SD card or a faulty unit. Solution: Remove the battery, remove the SD card – do a hard reboot. If that doesn’t fix the issue try a different, known good SD card. Reason: Buttons on camera being loose. Solution: Can be corrected by Thinkware replacing the buttons through a warranty exchange. You can also use tape to prevent the rattling. Reason: The Wifi between the camera and the Smartphone does not connect or disconnects quickly. Solution: Press the WiFi button off / on one time on the camera. Close the app on the phone (even if running in the background). Restarting the app usually resolves the problem. Alternatively, uninstall and reinstall the app on your phone. Also update to the latest firmware. Reason: SD card that is not 100% compatible can potentially mess up the software on the camera. Might also be a firmware issue. Solution: You can try to use a different SD card or specifically the Thinkware SD card. Download the firmware, unzip the file and copy contents to the root of the thinkware card. Insert the card and turn the camera on, the device will update. Power cycle the camera and then try reconnecting. Reason: You are using wrong hardware kit or you have incorrectly installed the hardware kit. Solution: Confirm you are using the right hardware kit and that you have tapped into the right circuits (one switched and one permanently on). Reason: Firmware or Hardware Issue – connection problem between PCB and sensor board. Solution: Stage 1: Reset the camera. While the camera is off, use a paperclip and hold the reset button down while plugging the power cable back in. Hold the reset button for 15 seconds and release. Wait 10 seconds and restart the camera. See if the issue is fixed. Stage 2: Reflash the firmware. If the camera is still stuck it’s likely a firmware issue. Download the latest firmware to the root of your microSD card. Plug the camera into your computer’s USB port and wait one minute until it reboots into the “mass storage” display screen. Be aware that the latest firmware is v2+ and if you have an old v1 firmware you will need to load the bootloader first. See our firmware video here. Stage 3: Return the camera. If you have tried the above and there is still a problem with the hardware and you will need to return to your retailer or Viofo. Reason: The original V1 Dash Cameras had issues with power caused by a loose connection with the GPS mount. This issue is fixed in the Viofo A119 v2 camera. Solution: Try powering the camera directly through the A119’s USB port instead of the GPS mount. If that solves the problem you have an issue with the mount and you can consider getting a warranty replacement. If that doesn’t fix the problem it’s likely a hardware issue. You can do a further test and power the camera using a different mini-USB cable and charger to see if it’s a problem with the camera or cable. Solution: This is a hardware issue and requires a replacement from your retailer or Viofo. The capacitors are designed to safely shutdown your camera when power is lost, including saving the last video. If it immediately turns off it means there is a connection problem or a defect with the capacitors. Solution: Please use detailed instructions on dashcamtalk to solve this issue Dash Cam Talk Forums. Reason: Light bounces off your dashboard and onto the windshield. Solution: You need to use the Viofo CPL filter which helps to reduce glare at night and cuts down on windshield reflections. You can also purchase a non-reflective mat for your vehicle like the Dash Mat which cuts down reflections at their source. Reason: Faulty GPS unit or electronic interference. Solution: Check the connection on GPS module and make sure if everything is firmly seated. Try to move the camera away from any electronics. If you are using a different cable it may create interference. Solution:Big thanks to our viewer Colin for providing his solution to this problem! Solution: It’s a SD card issue. Transcend 400x and Samsung EVO U3 are recommended cards for the Opia 2 and other cards may not be fully compatible. Try using a different SD card and if you have a chance buy one of their recommended SD cards. Solution: Some users have experienced a “jelly” type of video in their cameras. This is caused by the vibration your camera receives from your car. The simple way to remove this rolling shutter effect is to try to remove/reduce vibration. Sometimes different position on windshield can experience different level of vibration. Reposition and reinstall might help. Some users have applied shorter or longer 3M brackets. Some use suction mount without problems. Try a different mount. That could solve your problem. I have an HD DVR Dash Cam and the motion recording keeps turning off. How do I keep it on to save space on the card? I’ve been looking for dash cams for my small trucking company. I really need to buy commercial quality dash cams, but they start at $400.00. Have you done any reviews on them? Also, I live in an area where winter time temperatures may be below zero for short times, definitely below freezing at times. Do freezing temperatures have a negative effect on dash cams? I am very thankful I found your website and you tube videos! Hi Carol, sorry about the super late reply. I haven’t done any reviews on commercial cameras except those used by taxi drivers to review the inside cabins. For fleet systems which can send reports I haven’t looked at them unfortunately. Winter temperatures are generally not a problem. if it gets really cold it may take a while to turn on as it has to warm up first and there could be condensation inside the camera which is not good for the electronics. I would take the camera out ideally before leaving your vehicle. From my own experiences and a few other people going through a cold winter it didn’t affect our cameras. It’s one data point though. Excellent idea for an article Andrew and great summary of suggestions. Dash Cams are wonderful to have, but unfortunately also “high maintenance” products. Hey Chuck, thanks for the feedback! I agree, even the best cameras can have issues that pop up. Most complex electronics will have issues when they are used in harsh environments. We thought we would at least create a page of solutions for cameras we recommend.